Racers will make their way from Bannf, Alberta Canada on their way to Antelope Wells! TourDivide.org and via SPOT GPS at Trackleaders.com! And follow the discussion here. Jill Homer will be posting reports on her blog as well! Check out the Google Doc with the start list here. 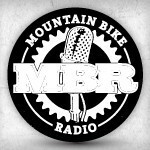 The feed for the podcasts which includes episodes, race summaries, and call-in “true-ups: is feed://feeds.feedburner.com/MTBCast. The direct RSS feed for the TD13 calls is http://mtbcast.com/site2/category/td13/feed/. You can put these into your favorite RSS reader or open them with Firefox. 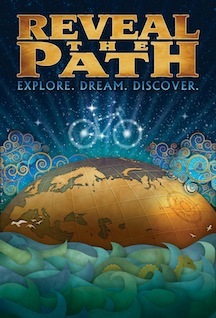 Greg Andre-Barrett is riding for Bikes Without Borders! Mike Hall takes the GC win with the fastest TD race to date: 14:11:55! Billy Rice becomes the first racer to ever do the TD as an out-and-back! CTR13 final call true ups from Mark Caminit and TD13 Lanterne Rouge Ralph Yukon Krausse final call true ups! All audio is also available via RSS link or iTunes! MTBCast: TD13 – Ralph Yukon Krauss called in with his finish call! Ralph Yukon Krauss called in with his finish call! Ralph Yukon Krauss called in from Separ! He’s making the final push to Antelope Wells! 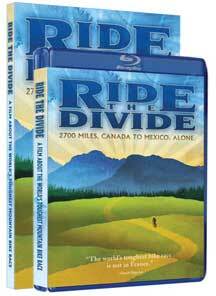 MTBCast: Tour Divide 2013 Final True Ups! Tour Divide 2013 Final True Ups! Our final calls from Richard Costello and Peter Kraft Sr.
Peter Kraft Sr. called in with his finish call! Richard Costello called in with his finish call! MTBCast: Tour Divide 2013 Day 31 True Ups! Tour Divide 2013 Day 31 True Ups! Hal Russell called in with his finish call! Rick Ashton called in with his finish call! Erick Armentrout called in to say he is OUT! Too many mechanicals took their toll. Bruce Gerould called in from Grants to say he is OUT! Hal Russell called in from Silver City! Andrew Stuntz called in from Silver CIty! Hal Russell called in from Glenwood. Richard Costello called in from Silver City! Matthew Liggett called in with his finish call! MTBCast: Tour Divide 2013 Day 29 True Ups! Tour Divide 2013 Day 29 True Ups! Greg Andre-Barrett called in with his finish call! Michael Komp called in with his finish call! “…on Monday I screwed up coming down Magnus before the baptist church water fill. I have no idea what happened but I crashed and had to take an hour and a half ambulance ride to Socorro(I think that was the city). My son who is racing this year as well (we ride all day alone because his pace is much faster than mine. He was at the church wondering where I was when I showed up in complete disarray. He accompanied me in the ambulance. They stitched my ear, eye, right knee, right elbow, left elbow(plus added a tube in the elbow) and I hurt my back. 24 hrs later we got a ride back to the church where our bikes were and pushed on. Still trying for 27 days we started up the CDT last night late(we did not do the reroute because we came to do as much of the whole original route as possible. All of a sudden about 11pm last night my son became violently ill. Throwing up literally all night. We knew we could not come back down to the Sapilla CG until daylight. Took three hours to walk down with my completely delirious child( who had been talking about doing it next year without me in 23 days. A forest ranger said he was in trouble and needed to have an ambulance get him to Silver City. So here I sit waiting on the answer of what is going on with my son. And he says to me, “dad we are going to finish thing one way or another.